Sedums are really great plants for colour in the garden from August right in to autumn. 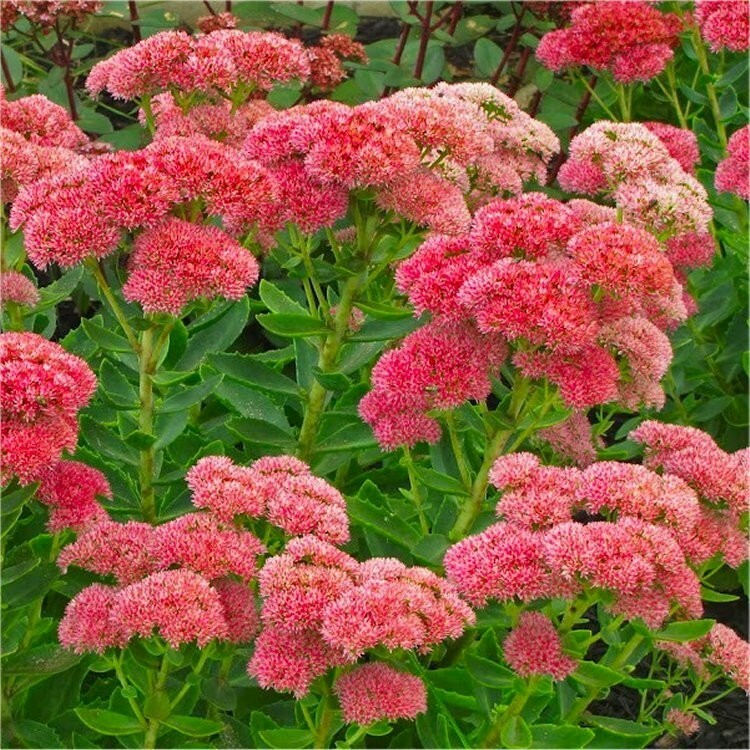 This variety produces large heads of rusty red-pink flowers above fleshy grey-green leaves that make Sedum Herbstfreude, also known as the easier to pronounce Autumn Joy, a first rate garden plant blooming just at the right time when other plants are running out of steam. This is a very easy to grow and reliable plant that will reward you year after year after year, it will thrive in a sunny spot, and even do well on poorer gravelly soils, and if we have a dry summer, this Sedum can handle it with ease. Autumn Joy looks really good when planted with low growing Ajuga in front of it, providing a carpet of dark foliage to set off the fleshy leaves and rusty red-pink blooms. It also combines really well with brightly coloured Rudbeckia. When the flower heads become covered in frost you'll lengthen the period of interest right in to the depths of winter as these are also very attractive, again especially if you have an evergreen ground covering Ajuga beneath you will have created a special combination Pack of three plants, each supplied in 2-3 litre containers, full of buds and flowers in season.